Chalk up another victim for conservative political activist James O’Keefe, rabble-rouser supreme. O’Keefe is the guy who you may remember from the downfall of ACORN, the federally-funded housing organization that O’Keefe tricked into giving aid money to a supposed pimp for a house of prostitution, and now he’s taking on National Public Radio. NPR, that bastion of liberalism, has long fought off accusations of anti-conservative bias, but they can’t do that anymore. 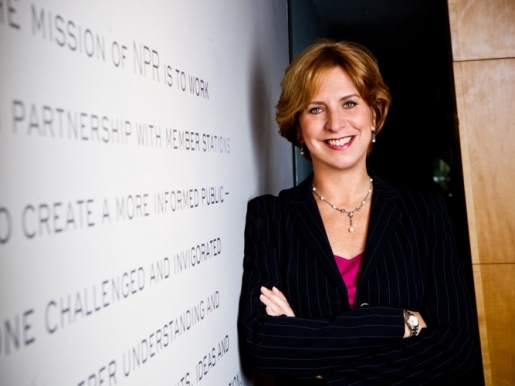 NPR CEO Vivian Schiller has been forced out by the NPR Board of Directors after she made anti-Tea Party comments that were caught on tape. Also ousted in the move is NPR’s former chief fundraiser, Ron Schiller (who isn’t related to Vivian Schiller). Both of them were caught characterizing the Tea Party as a racist, xenophobic political movement (despite the Tea Party’s dalliance with witchcraft) to a fictional organization known as the Muslim Education Action Center, a falsehood arranged by O’Keefe. O’Keefe also targeted the Public Broadcasting System in his attempted snare. While PBS sniffed out the fraud and wisely demurred, NPR walked right into it. Maybe a little vetting would be in order next time before you meet with a potential terrorism front to badmouth a large swatch of America.